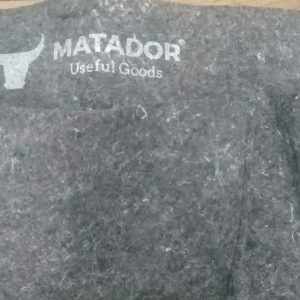 As a manufacturer of Matador Useful Goods llc, we provide felt production with almost unlimited imagination. Our current customers are designers and landscaping companies. 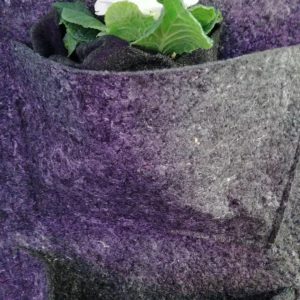 So we need to produce custom made green wall felt. Almost every company can buy products of different sizes. We like to be able to produce living spaces like this in our world where industrialization has reached the upper limits. In order for a plant to grow and survive, it is necessary to maintain air, climate, irrigation and healthy roots. This completely recyclable product, which is our own production, is extremely ideal for felts that are compatible with nature and roots. 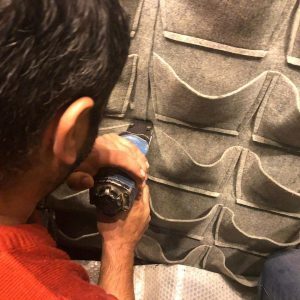 While designing and producing this custom made green wall felt product, we wanted it to be a convenient and sustainable design at an affordable price. We love B2b relationship work and we know what to do as a supplier in long term periods. 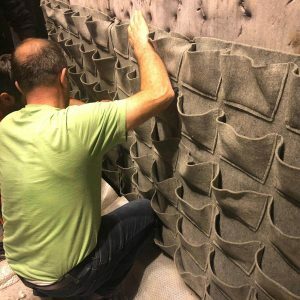 The expectation of the landscape companies is that these felts carry very good water, do not dry easily, they are easy to use in different sizes and do not damage the wall. Landscape companies in different regions of the world may have special requests in line with the demands and needs of the brands they represent. This felt is %100 receyle material for living wall projects. 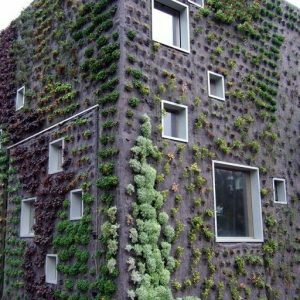 There are two type of vertical garden felt /green wall felt. 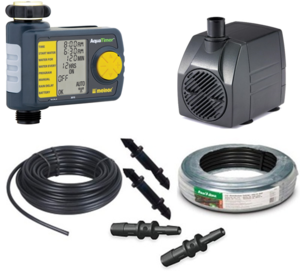 We will try to explain and give details about landscaper solutions. It is enough to share the external dimensions of your project (wall or building) with us. According to the size of your project and how many plants you are using, we draw the pockets and share the final measurements with you in computer environment. So you know how many pockets will be. The dimensions of this are shaped according to your request. 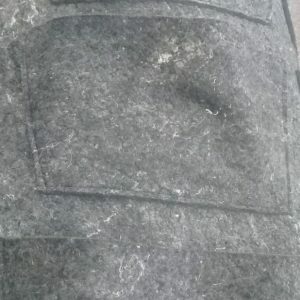 We will also give you detailed information about the felt kit. We can make production after making an agreement with your project. Our custom made green wall felt solution consists of 3 basic layers. 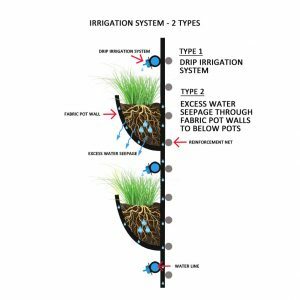 The rear layer is a plastic protective layer that prevents damage to the wall during irrigation. 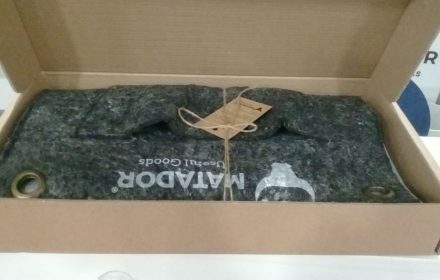 The felt which is mounted on this plastic layer is made of very special recycled materials, has high water retention ability and has ideal felt material for root and soil. 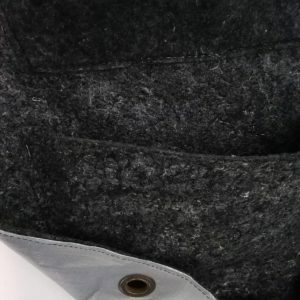 The second and third layers consist of pockets which can be changed in thickness and density. We serve a wrap around the root. This consists of a thin felt and prevents the root from getting air and allows you to make a more regular display. Below you can see an image. This wrap product is very easy to use, if you want you can add some soil. This is our materials kit for custom made green wall felt projects. Summary of the subject; we serve you custom made green felt in the direction of your project. This is as a plate, you can mount it on the wall as in the picture. Irrigation system may vary according to the size, height and type of flower plant of your project. If you want, we can also serve the irrigation set. It can be drip irrigation. It should be the target to provide maximum plant life with minimum water. This also increases the lifetime of the entire system. The droplets flowing through these thin pipes used between the second and third layers come into the roots. It can be installed according to the height of the system. 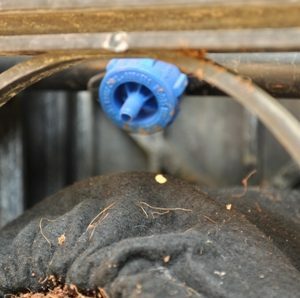 Landscaping companies can use their own irrigation system. Since we are a manufacturer, we have a flexible production style. You can mail your sample requests here. Our production location in Istanbul / Turkey and our office also lcoated in Usa. 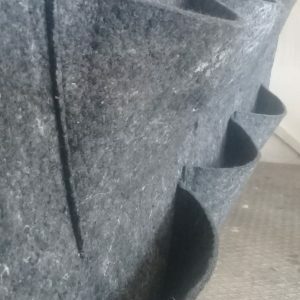 Minimum order quantity is 100m2 for living wall felt projects. We would like to work longterm business projects. You can also contact us for distributor agreements. Our shipment time to Europe is on average 1 week. We can ship by land, sea, airplane. Our production period is 1 week. We do not contain any materials harmful to health and we can offer tests to prove it. 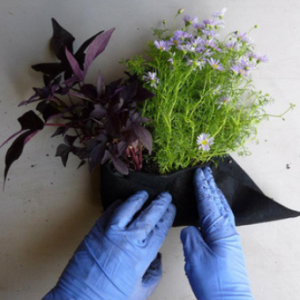 The fact that the products are recyclable is very important both for you and your customers for living wall felts. There are plants that are compatible with different climatic conditions for different regions of the world. Designers can offer plants according to their imagination and in suitable air conditioning conditions according to customer requirements. We would like to offer you the information in the elections. Below are examples for your review. 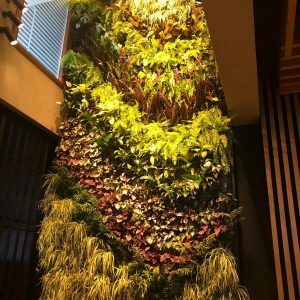 What we are interested in is that our custom made green wall felt material is ideal for both outdoor and indoor environments. Here you may find some details. Details such as humidity, temperature, watering time can be related to landscape. 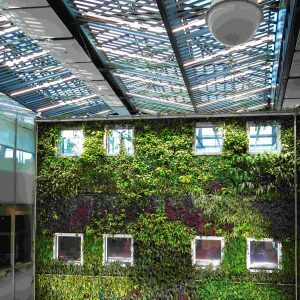 The garden green wall felt kit, which you can buy from the internet as well as some garden centers, can be found in the following examples. We have produced this product in accordance with the latest consumer. Thequantity of pockets can be changed if desired. You can contact us for special production. If you are a garden center, we can support your wholesale purchases. 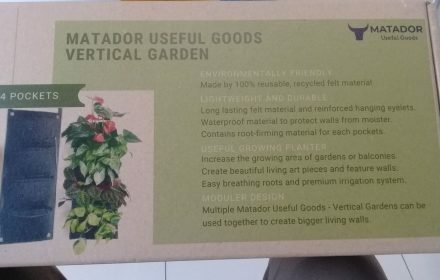 IIdeal for home, balcony, garden, nursery; Compatible with almost any plant, suitable for high water carrying capability and also wrap gifted, this set is an ideal solution for living wall felt.